1. Great way to make the front end of your VW Touareg stand out. 2. Molded out of automotive-grade ABS and plated with three layers of chrome. This long lasting material is made to withstand the rigors of the elements. 3. Manufactured to perfectly match the OEM chrome on other parts of VW Touareg. 4. Fast, simple installation via included automotive grade 3M adhesive tape. No drilling or cutting required! 5. 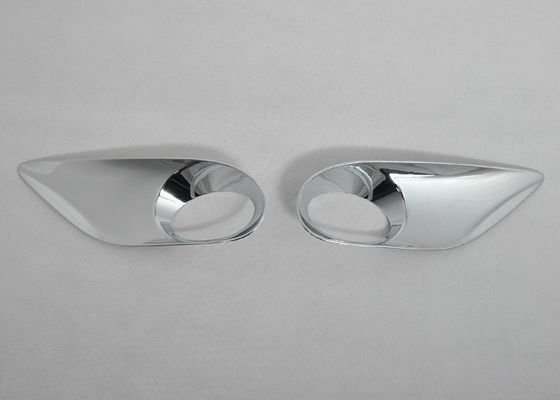 Complete the chrome look by adding other chrome accessories including chrome door handle covers, chrome mirror covers, chrome headlight & tail light trim and an aftermarket grille. high-qulity service. It is located in Tianhe Disctrict of Guangzhou Special Economic Zone, in which has advantage of developed economy, and very convenient transportation and solid foundation of industry. LanTeng Company has specialized in design, mold, produce and market products. We can produce carbon fiber, pu, pp, abs chrome and s.steel ect. for BMW, VW, Audi, Porsche, Benz and other SUV, Pick-up, MPV. Welcome to inquiry and test our quality. Sincerely wish to build business relationship with you around the world.